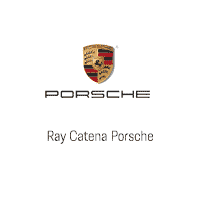 Ray Catena Porsche is excited about the Mission E movement and updates. Porsche has announced the official name of its first full-electric sports car during the official celebration of the anniversary “70 years Porsche sports car” – Taycan. The name translates as “lively young horse”, referencing the center of the Porsche crest.” The new electric sports car is athletic and performance-oriented; a car that is capable of longer distances, and represents freedom”, explains Oliver Blume, CEO of Porsche AG. Here comes the first electric sports car with the soul of a Porsche. According to Porsche Executives, the vehicle is expected to have a range of over 250 miles. The company has previously been talking about a 0 to 60 mph acceleration in 3.5 seconds and earlier this year, it was said that the Mission E will be able to go long distances at high-speed. 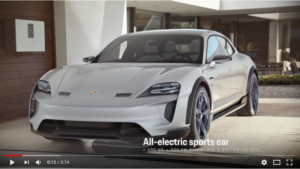 Porsche is talking about an 800-volt system that should allow a charge rate of up to 350 kW, which could charge the car up to 80% in only 15 minutes. It is the Taycan charging system that will be the biggest game charger in the electric vehicle market. The Porsche Taycan reflects the vision of pure electric mobility in the form of an all-electric sports car for an active lifestyle. With four doors, four individual seats and a Turismo rear end that provides even more space for all your requirements. A car for everyday adventures – but with performance levels that are anything but mundane. Thanks to the increased ground clearance, a robust chassis and on-demand electric all-wheel drive, the Taycan never shies away from new terrain. The front end shows similarities of the iconic Porsche 911. With its vertical air intakes around the front wheels, it exudes unrestrained dynamism. The door handles are flush and automatically fold out as soon as you approach the vehicle. An electrically-opening charge port is elegantly integrated into the design on both the driver and front passenger side – for increased convenience in every charging situation. Time to experience a completely new side of e-mobility and discover far flung destinations.